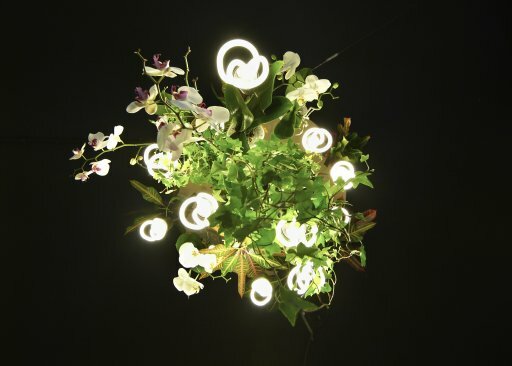 The floral forms of the Plumen 001 were the inspiration for a number of installations with Boskke’s inverted planters. 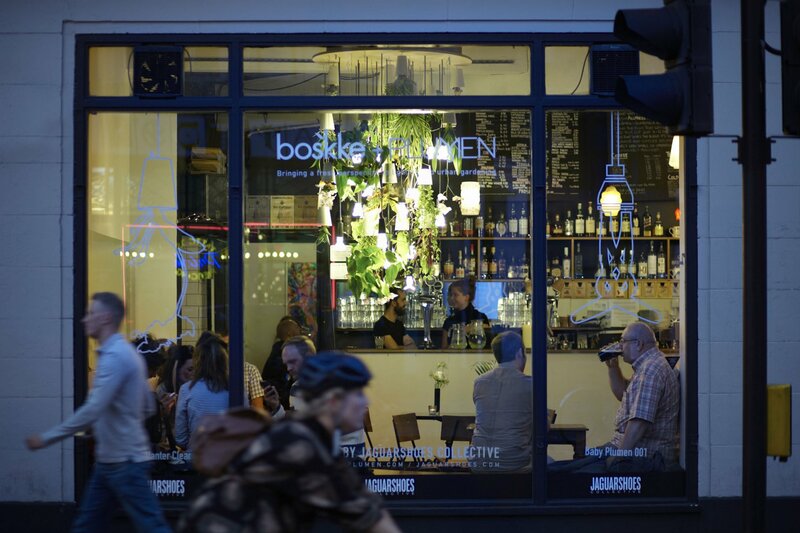 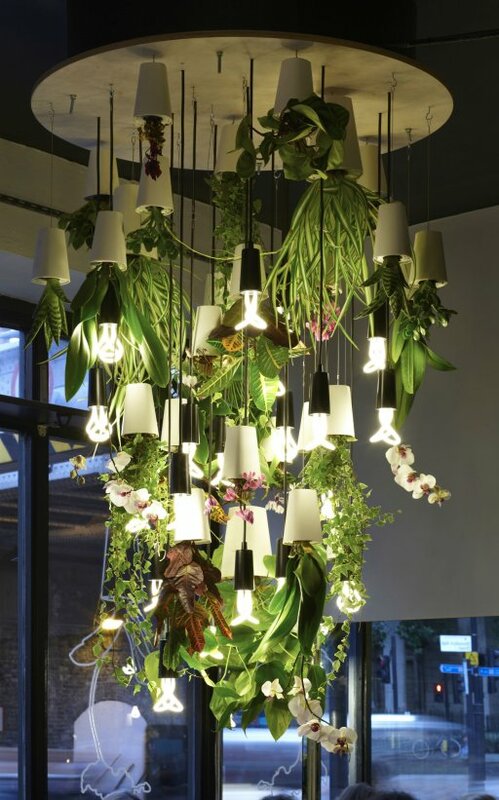 Boskke’s innovative products allow plants to be hung upside-down whilst still managing healthy hydration. 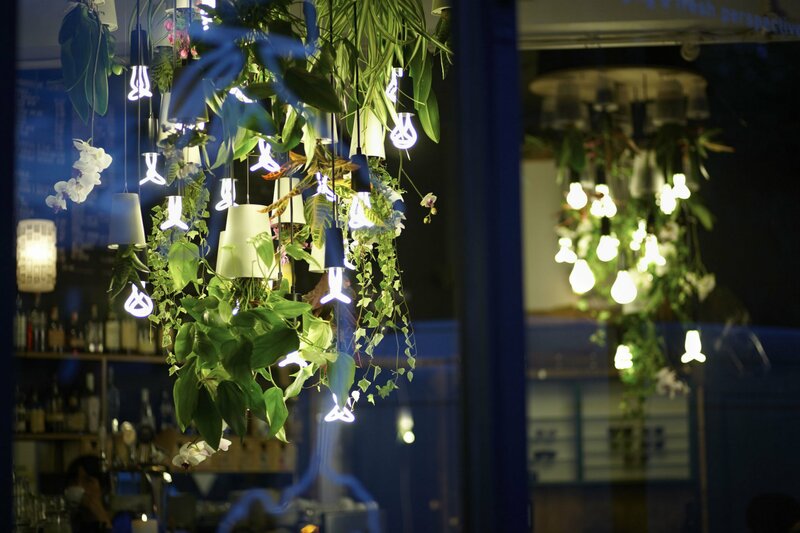 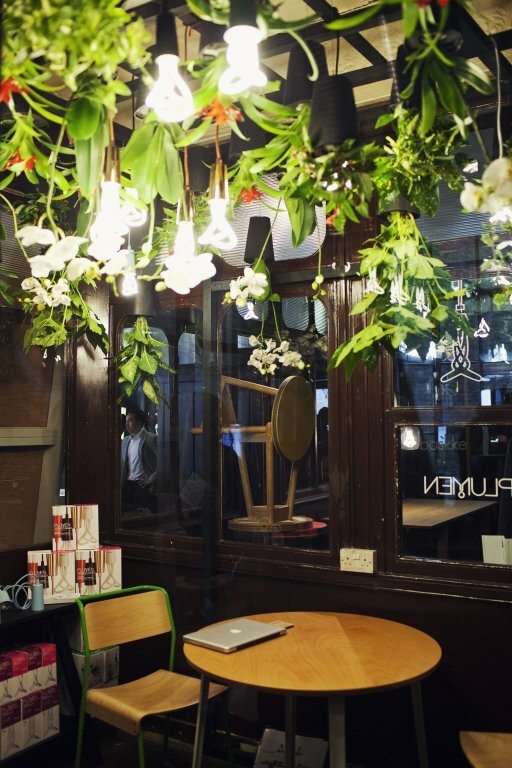 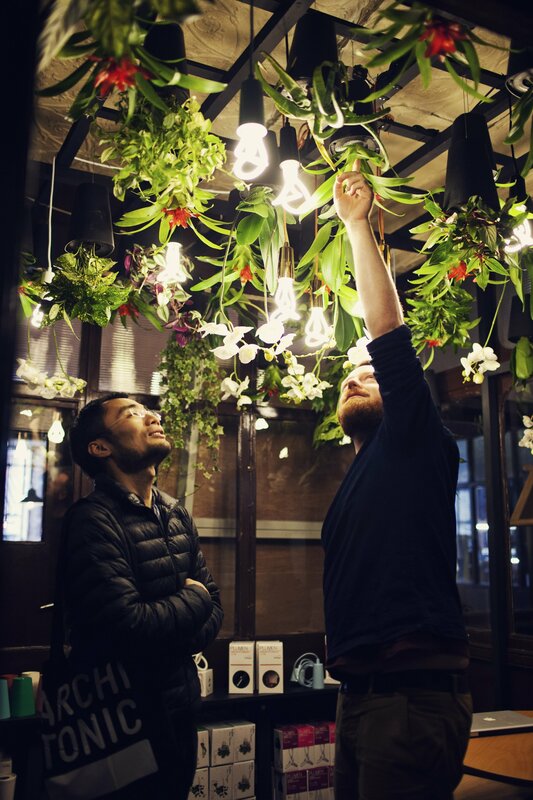 When Plumen bulbs come into contact with this hanging foliage, incredible hues and vibrant colours emerge from verdant leaves and foliage.